AllTrust Networks is a SaaS platform for the alternative financial services industry, helping our customers serve the needs of the underbanked. We lead the market with SaaS-based and mobile software products for check cashing, money transfer, bill payment and other money services. Retail merchants combine AllTrust products with rewards programs to drive in-store traffic and improve customer loyalty. Money service businesses use our mobile applications to provide private label financial services beyond the brick and mortar and into their customer’s smartphones. Kiosk operators integrate our mobile and web-based solutions to offer a complete self-service financial services experience. For customers that build their own applications, our services are available via web APIs and mobile SDKs. With over 190 APIs to choose from, the AllTrust Platform enables our customers to custom tailor the integration of our customer enrollment, risk management, and transaction processing services into their in-house applications. 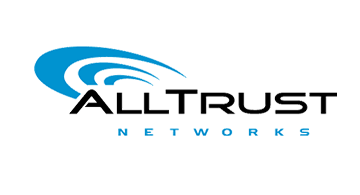 AllTrust Networks has provided alternative financial services products since 2000 and pioneered the use of biometric ID to simplify consumer engagement and prevent fraud. With over 10 million consumers enrolled, AllTrust is leading the industry transformation to mobile financial services, serving the needs of the next generation of the underbanked.